Turčianske Teplice is situated in the south of the Turčianska záhradka (garden), 518m above sea level on the foot of spurs of the Great Fatra which with the Kremnické mountain and land of Lazy form a very beautiful frame round the town. 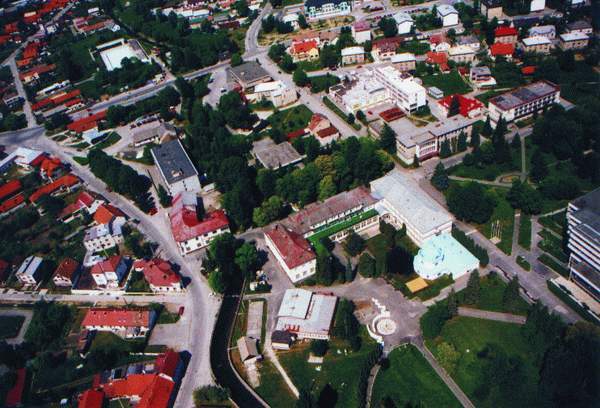 The biggest natural wealth of Turčianske Teplice are mineral springs and thermal waters. The first written mention about thermal waters in the area of modern town is from 1281. Spa was founded on the basis of hot springs of medicinal waters of which temperature oscilates from 40,7oC to 46,5oC. In Turčianske Teplice as the only spa in Slovakia are healed urinary tract infections and diseases of kidneys. Famous and successful is the cure of motor functions not only of adults, but of children, too. Part of the spa´s area is a large park. 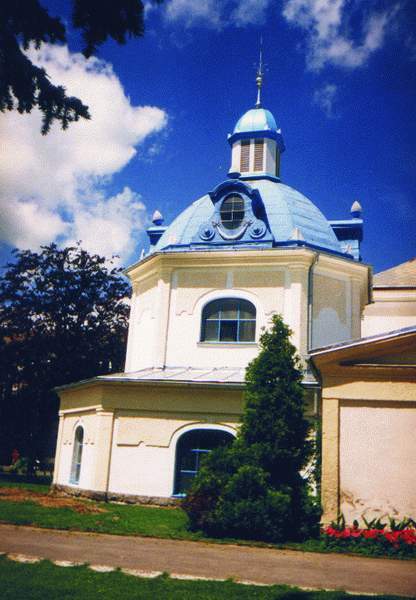 The oldest historical object is the Roman-Catholic Church of St Michal in Turčiansky Michal from the year 1264. In this part of the town is a memorial house of I.Ž. Somolický, poet and nationalist. In Dolná Štubňa is situated the Roman-Catholic Church from the end of the 16th century. The Renaissance monastery from the second half of the 17th century and the Rococo monastery from the second half of the 18th century will draw attention of visitors of the part Diviaky.